I had the pleasure of flying United’s best and brightest Polaris business class from Sao Paolo to Chicago at the end of last year on their 777-200( the feature image ). It’s a really good business class ( with incredible bedding), and lo and behold, United has created a great opportunity for you to fly the real Polaris domestically. How? Enter…their brand spanking new Boeing 787-10. It’s not only biggest dreamliner in United’s flight, it’s the only one fit with their new seats, and it’s currently flying roundtrip from New York to Los Angeles. Actually…it begin flying the route in January, but piqued my interest last night when I was looking to fly some clients on the route and saw some amazing fares. Thanks Google flights…you’ll need to set your parameters to find the 7am departure. I clicked Nonstop, Star Alliance, and then pinned the flight that operates the 787-10 with the departure and arrival specification. Currently it’s operating the 7am flight between EWR and LAX. If you notice…you could fly out from LAX on March 9th and return on the 12th for $1200 roundtrip on the 787-10 in both directions. Pretty awesome. My understanding is that it will be just the white pillow and the blanket. Personally I think the bulkhead seats will be the best, but some may not like the galley noise. They do feature larger footwells just like the 772 pictured below. If you don’t go with bulkhead, go with odd rows on the window if you’re traveling alone, and odd rows center if you’re traveling together. The American Express Business Platinum has a great benefit whereby you use points at 1 penny a piece, so 59,900 in this example, and then you get a 35% refund on the flight. That’s 20,965 in this example and puts the total Membership Reward outlay at 38,935. Far fewer than the best deal United is offering at 60k. Amex also buys the ticket which means you’ll be earning both redeemable and elite miles with United, or whomever you choose to credit it too. Both card issuers have other cards that also allow for the purchase of flights through point redemption at fixed value. 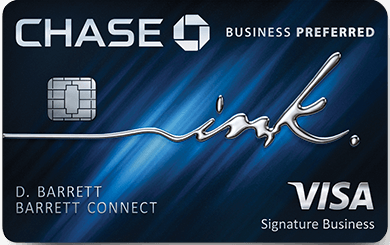 For instance both the Chase Sapphire Preferred and Chase Ink Business Preferred give 1.25c valuations to their Ultimate Rewards.